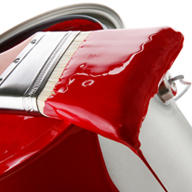 Sudbury Handyman Services knows what is expected with a painting or staining job. We pride ourselves on performing your job on time, done right. That's our mission. So when you bring Sudbury Handyman Services in for a painting or staining job, we work hard to bring the level of detail and professionalism that you expect. Sudbury Handyman Servicescan help with a variety of painting and staining projects around the house. Whether it is an outside paint job or an indoor one, Sudbury Handyman Services can do it. Our professional home repair contractors can stain your deck to protect it from the wear and tear of the weather. Deck staining is a messy job - let Sudbury Handyman Services handle it, so you'll stay clean and also have a perfectly stained deck to enjoy in the warm weather. Crown molding is a nice addition to any room in your house, but painting crown molding can be inconvenient. Sudbury Handyman Services can handle this job. Plus, he can install crown molding in case you have always loved the look but haven't had a chance to put it in your home. Whether you need help installing and painting or just need the molding you currently have touched up, a trained professional from Sudbury Handyman Services will do the job right. One of Sudbury Handyman Services home improvement services includes painting doors. Make a great first impression by having Sudbury Handyman Services put the finishing touches on your doors with a fresh coat of paint. Sudbury Handyman Services also installs doors. After our Handyman finishes installing your new exterior and interior doors, he can paint your doors to accent your color scheme. Let Sudbury Handyman Services do the work. We'll get the job finished on time, and it will be done right. That's the Sudbury Handyman Services guarantee. Call Sudbury Handyman Services today at 705-586-2924 or 705-207-3615 and start checking items off your painting and staining "to do" list.